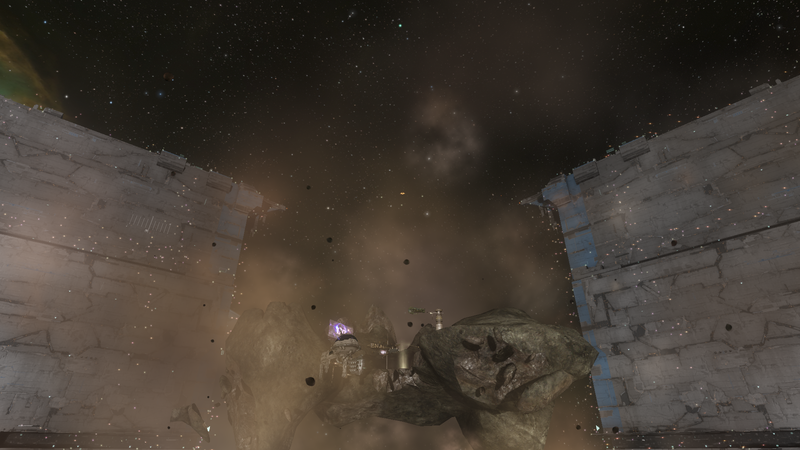 The Kyonoke Outbreak Containment Site. A few strands of amino acids. That, surprisingly, is all it takes to bind 4 systems together across the light-years of interstellar space. You wouldn’t know it by looking at it, but that short string of organic molecules has managed to entangle the systems of Efu, Muttokon, Oijanen, and Postouvin, tying their fates together across the harshness of interstellar space. But rather than uniting to tackle the threat posed by this tiny piece of matter, it seems destined to pull the four empires even further apart as they race to save millions, if not billions, of lives from a terrible fate. So far, only the Society of Conscious Thought, the newly-designated heir to the Jovian Directorate, has attempted to tackle the problem posed by the short string of carbon known as Kyonoke. Professor Science approaches the containment complex. The story of Kyonoke starts, for our purposes, a few years before capsuleers arrived on the scene. 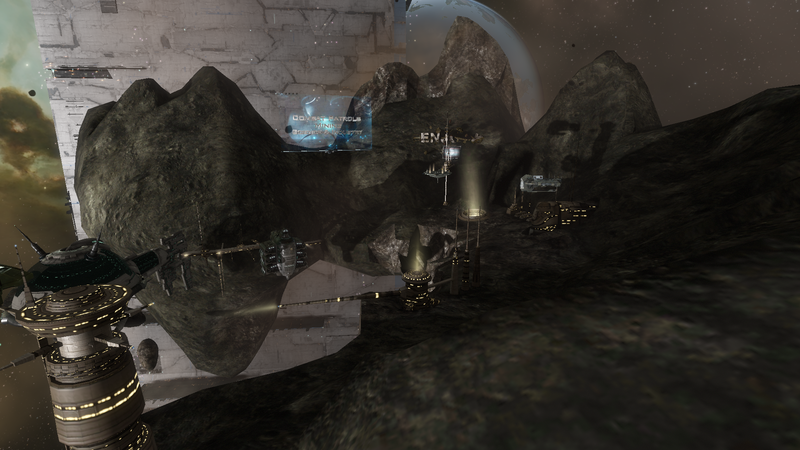 The Caldari had found a particularly mineral-rich asteroid near the planet Kyonoke in Taisy, and had established a mining colony to plumb its depths nicknamed the Kyonoke Pit. 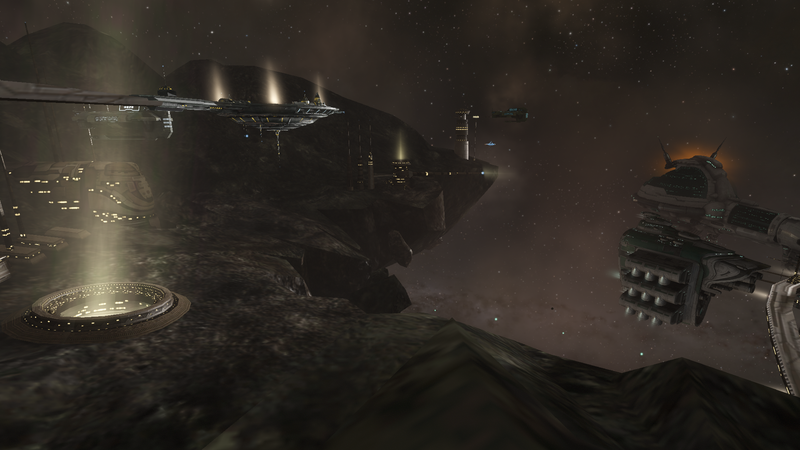 Rather suddenly, Caldari authorities lost contact with the colony. The team sent to investigate the colony found a gruesome scene, with the entire mining colony dying rather agonizing deaths. Despite the full set of protective equipment, the investigation team succumbed to the disease within hours. The Caldari eventually managed to isolate the cause: a short and seemingly run-of-the-mill protein strand that managed to disrupt almost all biological systems within a few hours of exposure. Needless to say, since that discovery, Kyonoke Pit has been under round-the-clock Caldari surveillance to make sure that no one gained access to this potent pathological protein. A closer view of the stricken RP4 mining complex. 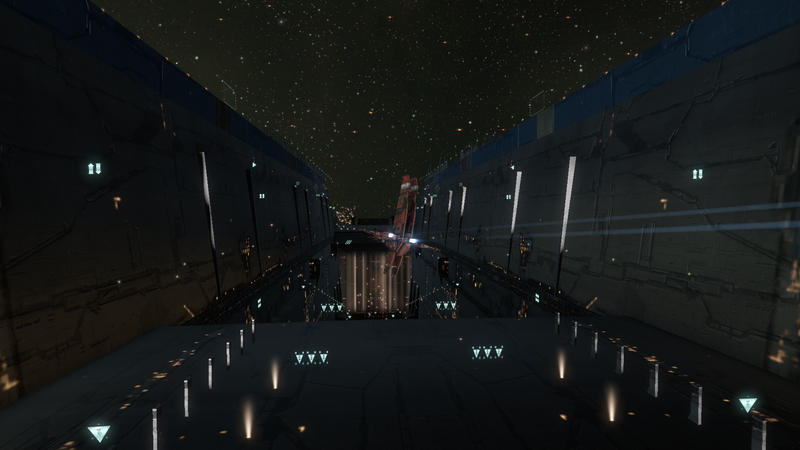 Even knowing about the heavy security cordon the Caldari used to keep Kyonoke secure, it was with a bit of trepidation that I recently began reading reports of a sudden quarantine appearing on an orbital platform in orbit of Muttokon II. Almost immediately thereafter, the city of Myrskaa in Oijanen experienced a rapidly spreading plague, which quickly led to the entire city being placed in quarantine. Three became a crowd after certain decks on a Society of Conscious Thought station in Efu were cut off after the appearance of another deadly plague. And any doubts that this was a coordinated effort were put to rest when the very next day, Federal authorities lost contact with a mining colony in Postouvin after sending out a distress call concerning a disease outbreak. 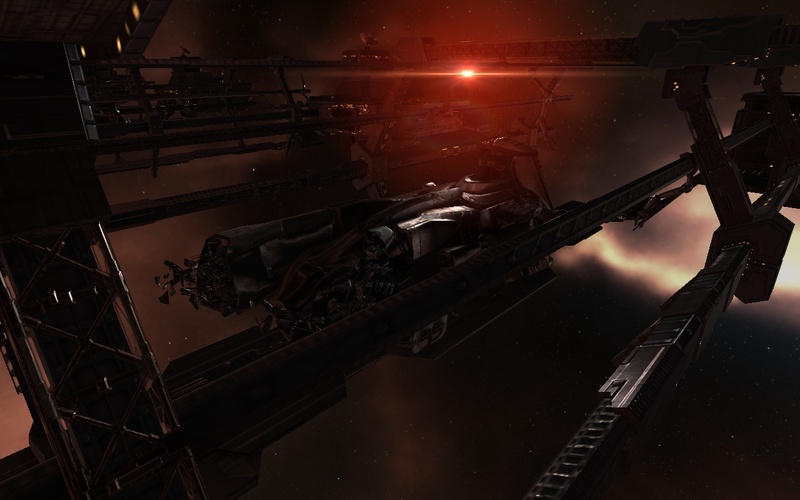 Although rumors swirled, it took a full day for Caldari authorities to confirm that the disease at issue was in fact Kyonoke, albeit an apparently modified strain. There appeared to be few signs of life in the colony. With Kyonoke identified, the cluster soon began to wonder how the pathogen escaped. Answers soon fell into place when an expedition into the now-abandoned Kyonoke Pit revealed the body of one Ohmon Kasaras, a former member of the Kaalakiota Home Guard, who had apparently ventured into Kyonoke just weeks before. Although reports identified him as a loyal Caldari, the fact that his family has gone missing suggests we do not know the entire story behind the Kasaras breach of Kyonoke, if that was not evident from the fact that it’s still unknown who Kasaras was supposed to deliver Kyonoke too. 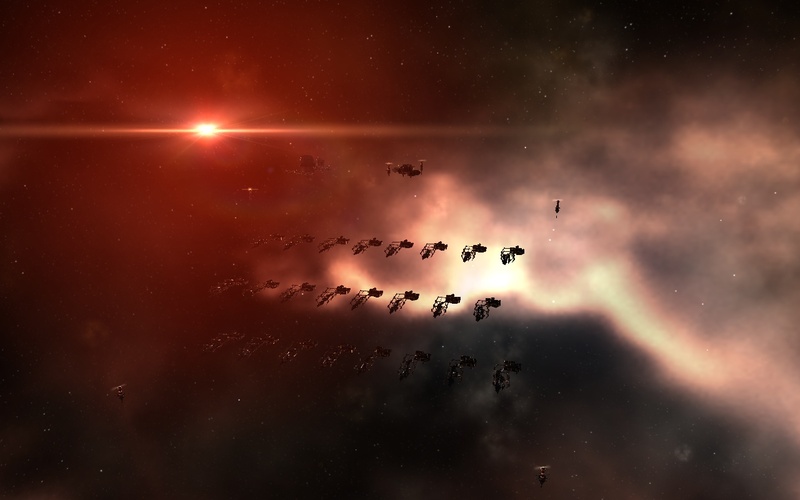 To say that fear has gripped the cluster is a bit of an understatement, with Caldari/Gallente tensions flaring to a height not seen since the days of Tibus Heth… which is all the more worrisome because there does indeed appear to be a Heth connection to all of this. Despite the hostility on both sides, the isolation protocols seem to have done their jobs, as no more outbreaks have since been reported, although that does little to help the millions already under quarantine. Other stricken systems include Efu, Muttokon, and Oijanen. Although the empires appear to be paralyzed either by infighting or paralysis, the Society of Conscious Thought has stepped to the forefront in researching ways to combat or eradicate Kyonoke. Recently, they announced the formation of the Kyonoke Inquest, a coordination center for research into the origins of the prion and ways to combat the disease. 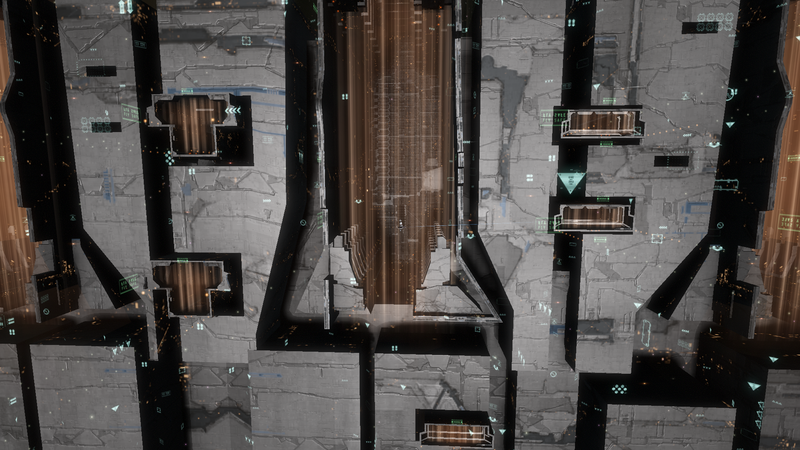 The Inquest is based out of the H4-RP4 Kyonoke Inquest Center, a massive Keepstar-class citadel built near the asteroid colony in Postouvin that suffered the outbreak. Given the sheer amount of news recently concerning the Kyonoke crisis, it should surprise few to learn that as soon as I heard that the Inquest would be based out of Postouvin, I made my way into Solitude to await its public opening. Professor Science maneuvers towards one of the largest docking ports. 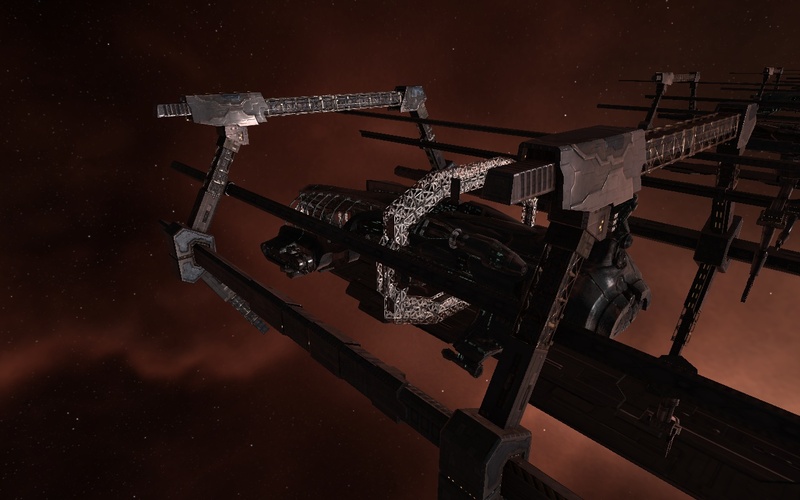 This Keepstar was constructed by the Society of Conscious Thought to act as a research and development center for the study of the Kyonoke Plague. Widely considered by academics to be the single largest research installation in New Eden, its laboratories have hosted research projects from some of the most intelligent minds in human history. The Professor is but a speck next to the giant research complex. 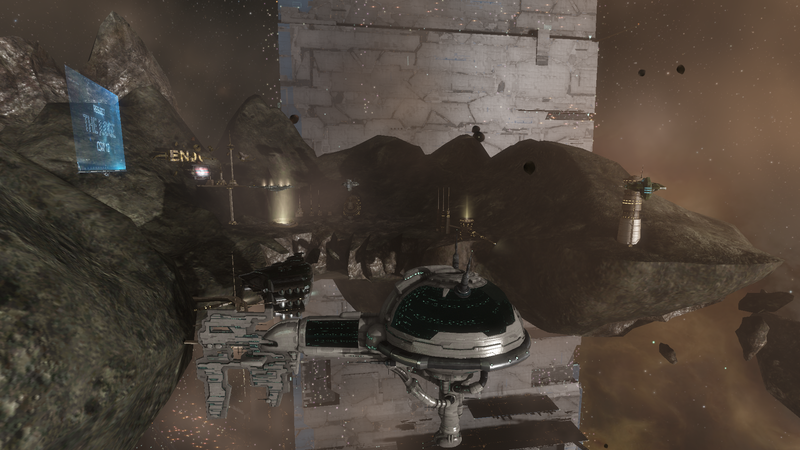 The stricken RP4 hemorphite processing facility lays cradled in the arms of the Keepstar, with the citadel seemingly built around the mining colony. The colony, built into the crescent-shaped asteroid itself, pokes up from the surface of the colony, pieces of gray metal gleaming against the brown regolith of the asteroid’s surface. 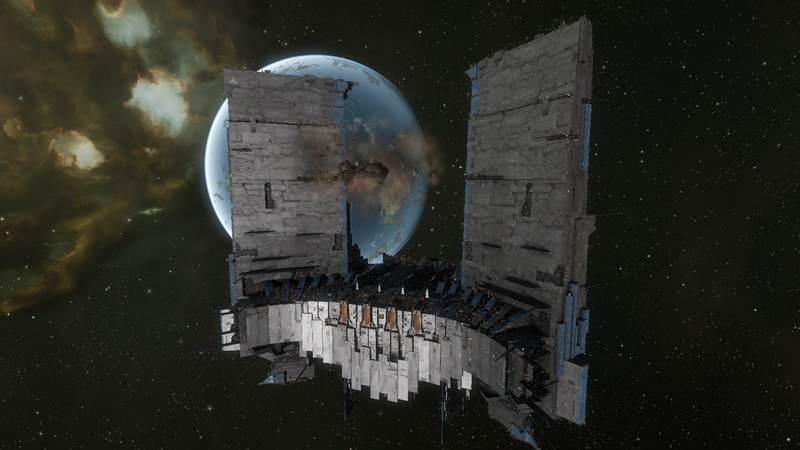 A lonely Obelisk-class freighter sits near the dock, apparently caught up in the station’s quarantine when the order came down. The entire colony is wrapped in a rather ominous cloud of debris, which is fitting because there appears to be few signs of life on the colony. 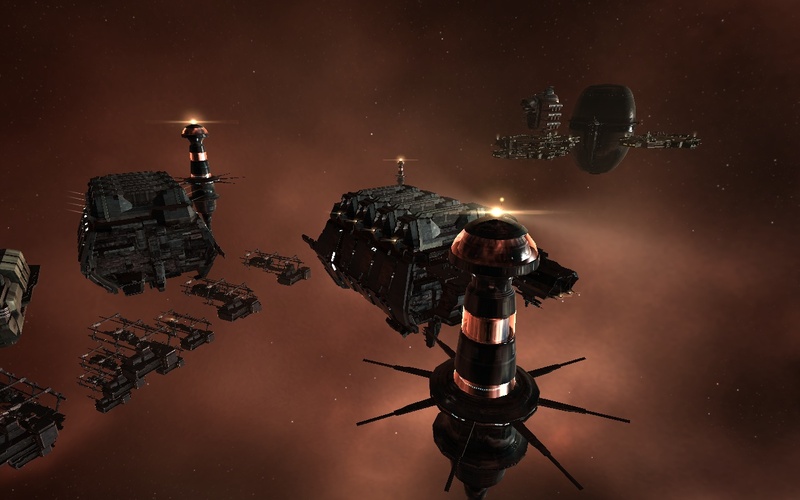 Given the apparent speed with which Kyonoke acts, it seems unlikely that many are left alive at this point, and the colony acts as a somber reminder of the staggering human costs at play in this plague and the goal of their efforts for anyone who merely looks outside the Keepstar. The Inquest may be the best hope of solving the crisis. There are millions of lives at stake out there, and billions more hang in the balance if any of the containment protocols breach or whoever first released the plague decides that it is necessary to strike again. Right now, we can only that the answer to this crisis lies somewhere in the colossal depths of the H4-RP4 Kyonoke Inquest Center. And while not quite as important as solving the Kyonoke plague, I’ll sleep a lot easier at night if we can find out who released the disease and why. I may only be but one man, but I am ready to help out the effort however I can, for if this ordeal has taught us anything, it’s that the smallest changes can stretch across the galaxy. Potential Hazards: If you’re below a -3.5 in security status, or -5 standing with the Gallente you’ll have to deal with some rather unpleasant policemen. Additionally, although the system is high security space, please note that this is a high sec pocket and is ONLY accessible through either null security space or a rather long low security route. 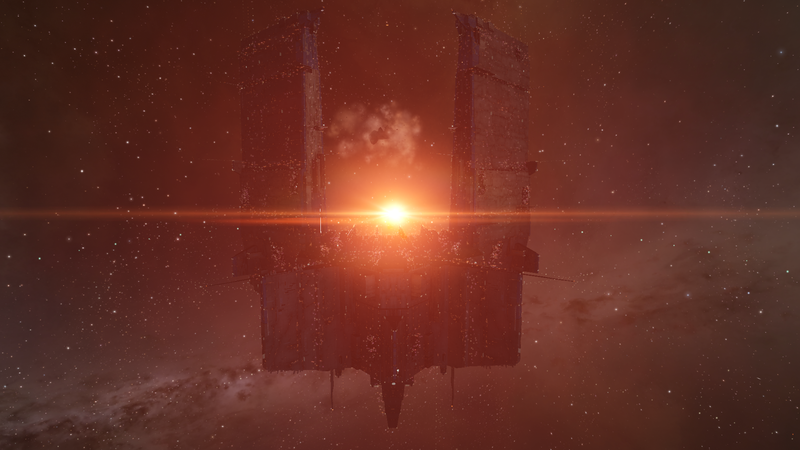 Additional Notes: You cannot dock at the Keepstar, nor will it tether you. A shipyard for building Gallente naval forces. You are entering a fully licensed Roden Shipyards manufacturing area. All unauthorized non-capsuleers found trespassing will be persecuted to fullest extent of Federal Law. 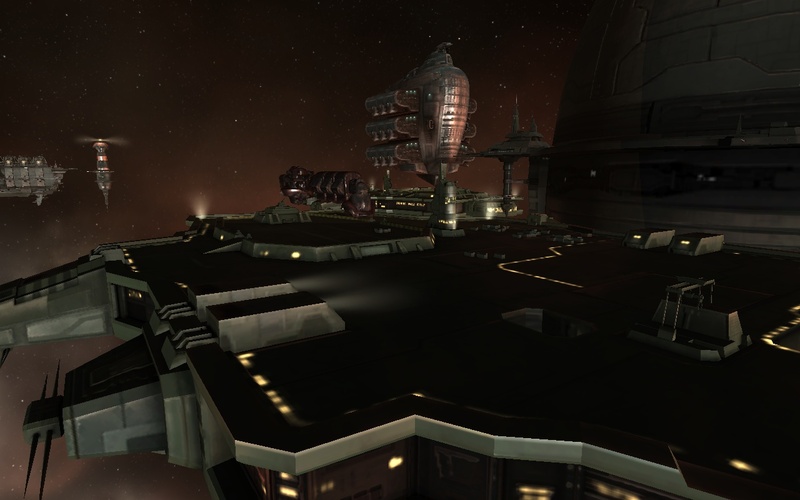 An Occator docks with the shipyard in front of an Obelisk. Storage space for the variety of materials needed to build the Megathrons. The shipyards themselves were bustling with activity. A variety of transport ships could be seen near the main storage silo, offloading the materials needed to continue producing the Megathron-class vessels needed to keep the Gallente Federation safe. At the time, an Obelisk and Occator could be seen docked at the silo, as well as a Thorax, acting as guard for the yards. Admittedly, it seemed a small guard force for something located in low-security space. Then again, Roden had never seemed all that wary of placing important manufacturing facilities away from the guards of CONCORD and the naval fleets. Maybe it was just fear of retribution that kept the pirates away, and more focused on us capsuleers. A Megathron still in the early stages of production. Small clouds of hardware that need to be installed can be seen near each of the arms. Then, of course, there were the rows of drydocks themselves. 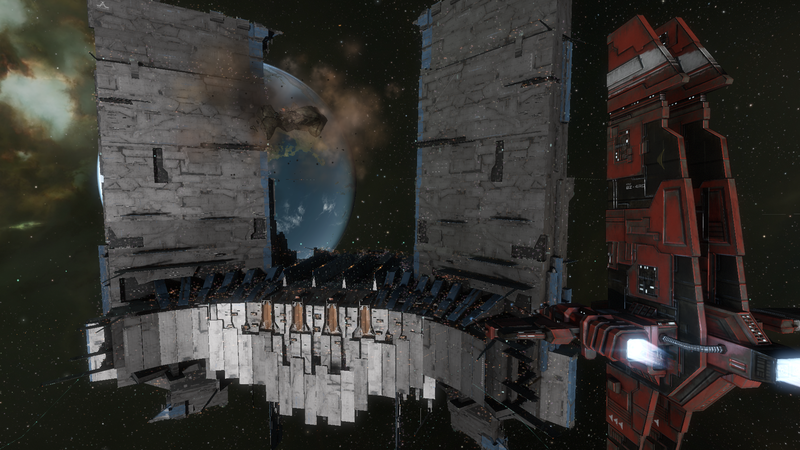 Each drydock seemed active, with Megathrons at a variety of stages of construction. 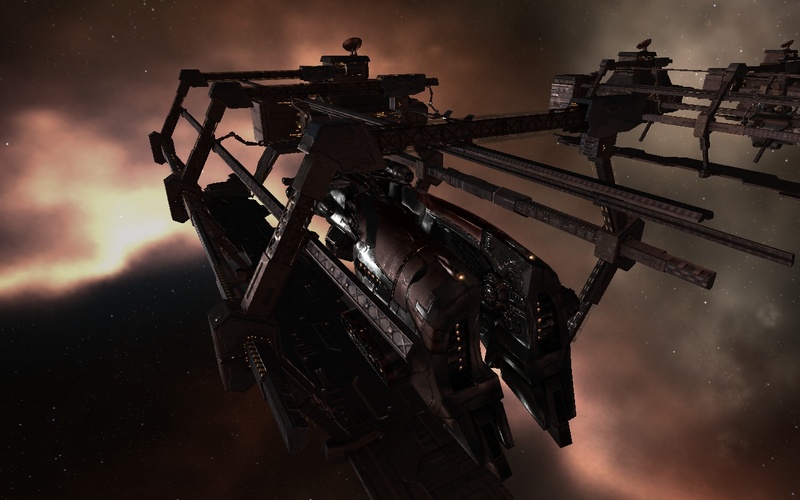 Some were only mere superstructures, with barely more than the hull beams laid. Some had their hulls completed, but the majority of their armaments and other hardware sat nearby in a cloud, waiting to be installed. Others still were clearly near finished, and I’m pretty sure I saw one or two that were actually in the stages of being painted before being sent off on their assignments. All in all, it was precisely what I’d expect to see in a bustling shipyard for one of the largest naval forces in the Cluster. All in all, twenty-four vessels sat in various states of readiness. The one thing I wish I could know was exactly how long it took for the shipyard to go from laying the keel to sending the vessel on its way. I know capsuleer manufacturing centers could turn ships like the Megathron around in a day or so, but I suspected it was a bit longer for naval ships to ensure that the various high tech equipment still worked. I had no doubt that this was only one of many shipyards throughout high sec and low sec, continuously pumping out the ships needed to maintain order throughout the Federation. 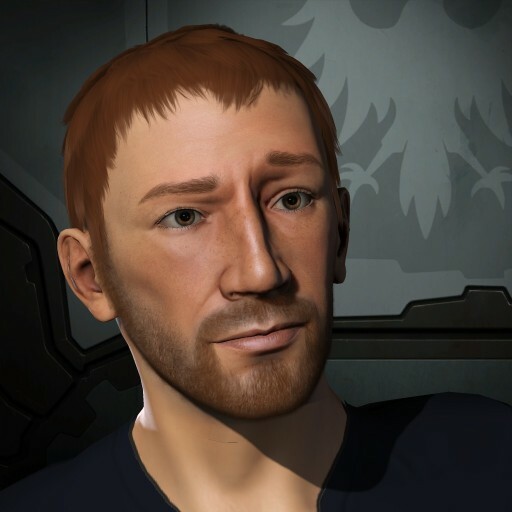 And I had no doubt, in unfortunately classic Gallente fashion, that Roden Shipyards (and thus the namesake of the company and President of the Federation) was making a good amount of isk off of the construction contracts for these ships. Still, it was a small price to pay for ensuring the safety of the Federation. They could be helping out a little more with some other enemies out there, but I realized the importance of maintaining the all-important status quo, and a multilateral effort to eradicate the Cluster of this evil (as much as it would make me feel good) would probably be disastrous at this time of, shall we say, interstellar disharmony. And so, the shipyards continue to produce the ever-needed vessels of war. To replace the ones that have come before it, just as these ones will, probably all too soon, need to be replaced themselves. Around the Federation, these beautiful, massive vessels are converted to scrap metal and plasma every minute of the day. It certainly puts a new perspective on that phrase, “out with the old, in with the new.” Sometimes, you don’t get the chance to decide when the old exactly need to be put out. Potential Hazards: Low sec travel is needed to get to the landmark. Caution is advised.